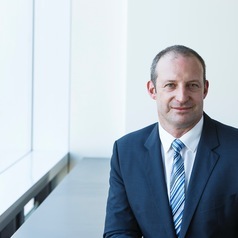 Professor Nick Wailes is Associate Dean Digital and Innovation at UNSW Business School. Nick was previously Director of MBA Programs, University of Sydney Business School. He has a PhD from The University of Sydney in Work and Organisational Studies and a Masters of Philosophy (1st Class Honours) from The University of Auckland in the area of Management Studies and Labour Relations. Nick's research has focused on technology and organisational change. He has also conducted research in international and comparative human resource management and strategic management. Nick's research findings have been published in a number of leading international journals including the Journal of Strategic Information Systems, the International Journal of Human Resource Management, the Journal of Organisational Change Management and the British Journal of Industrial Relations.